Fall has always been funny time of year for me. To be honest, I used to hate it. I dreaded its arrival. The cold nights. The dying leaves. Pumpkin-flavored everything. The boots and layers and pants instead of shorts. The way I saw it, fall was a summer-killer and I mourned summer’s death each year. But I decided to try something different this year. We’re living in a different place and everything looks and feels so new. So one morning in late August, when I felt a little chill in the air, I adopted a new attitude. A few leaves on the tree outside our kitchen window had already started to turn gold. I decided to open my mind and see the good in fall. That’s the cool thing about us humans, don’t you think? We get to reinvent ourselves. Change our perspectives. Reassess and redirect. Improve. Let go of old and embrace new. 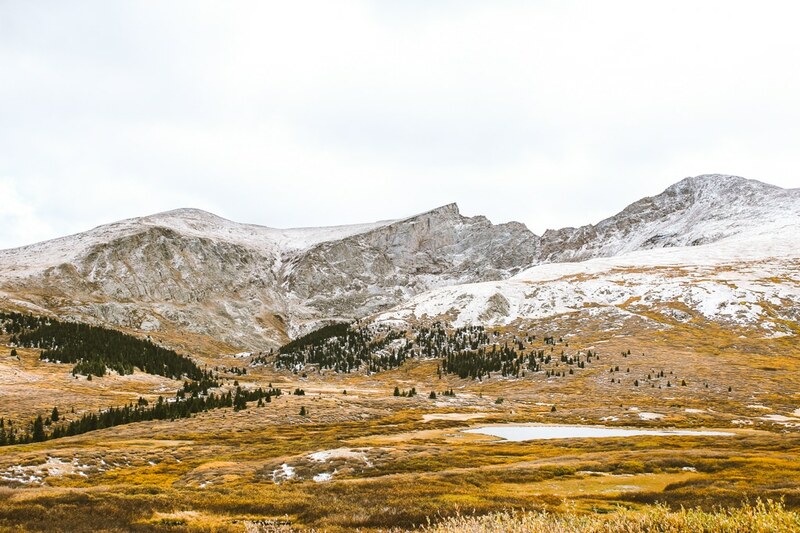 Driving 3 hours to “leaf peep” west of Denver on Guanella Pass and letting the colors take my breath away. Seeing glory and magic in their brilliant, bright yellow leaves. Being “those people” who pull the car over to snap pictures of the aspens to send to family. 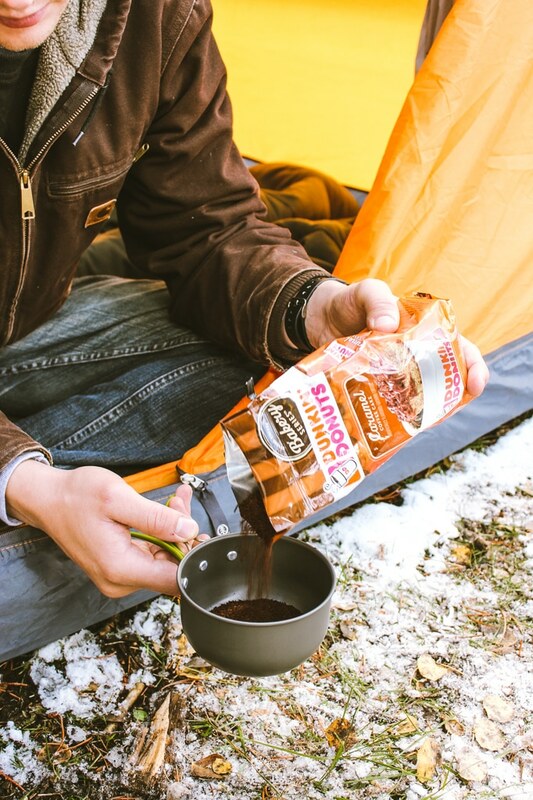 Camping in the cold and waking up to a snowy morning. 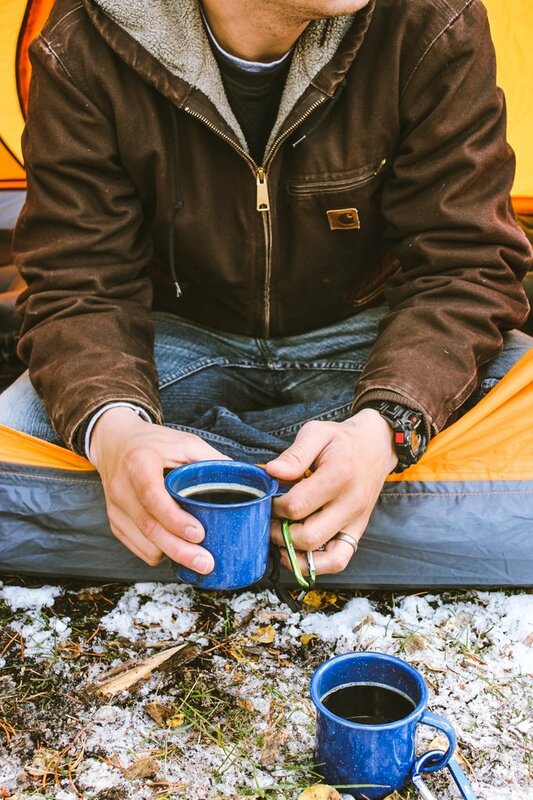 Starting a fire to warm our toes and clutching steamy mugs of coffee to warm our fingers. Listening to old Dashboard Confessional albums while I clean the kitchen. Maybe even buying pumpkins for our apartment and bringing in some foliage for our kitchen vase. Going on nightly walks with Clark and Scout to see the Halloween decorations and crunch the leaves. Cozying up on the couch to watch Halloween for the thousandth time. Slowing down to enjoy the sunshine and the clear blue skies, even if the air is brisk. I think I’m seeing a trend here. 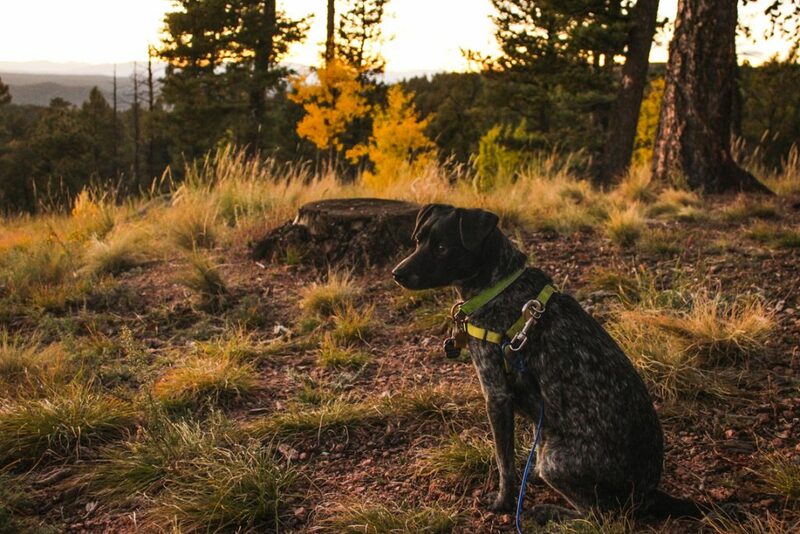 Fall is about slowing down. I’m past that stage of my life where I have to drink my coffee like black tar. That was for college and New York. These days I can take the extra few minutes to pick out a better coffee, one with special flavors to meet the season. Something light and fruity for summer, something with dark chocolate notes for winter, something decadent and aromatic for fall. I’ve been loving Dunkin’ Donuts’ blends lately. Since we’re at King Soopers (almost) every day, I spotted their new coffee flavors immediately. It actually may have been the day they arrived in the store. I have a grocery shopping problem. I blame it on the blog. And I’m not about to quit. 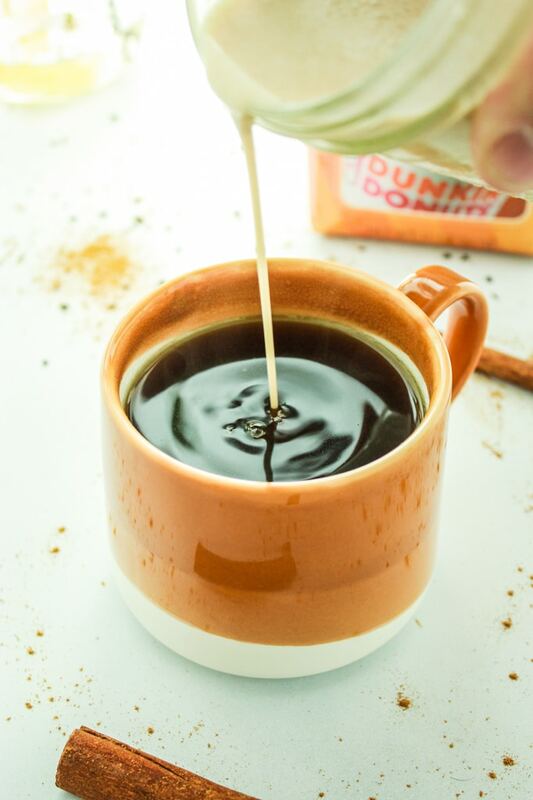 So far, we’ve tried every flavor from Dunkin’s bakery series – Cinnamon Coffee Roll, Chocolate Glazed Donut, and wait for it – CARAMEL COFFEE CAKE. It tastes and smells like freshly baked crumb cake – which is my absolute favorite baked good. How did they know exactly what flavor of coffee I needed to complement my newfound appreciation for fall? I don’t know, but my mornings are happier every day because of it. 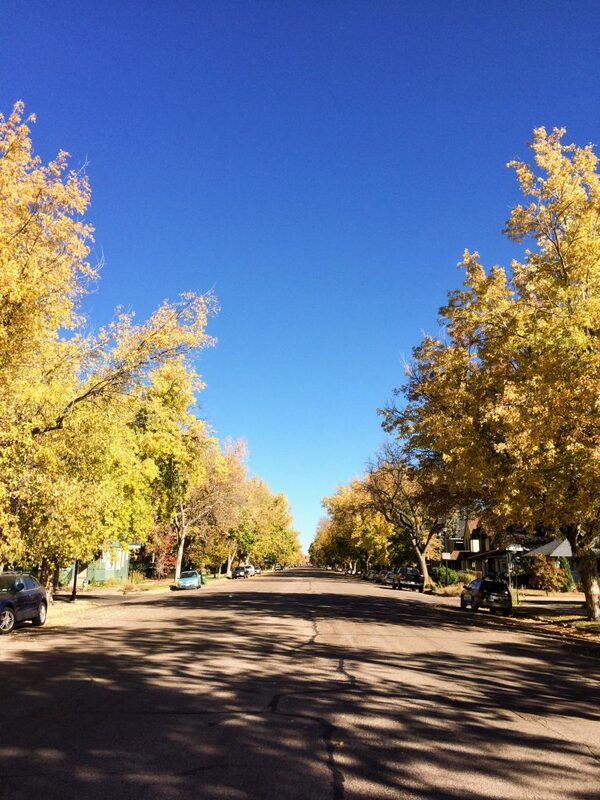 Fall’s not so bad. 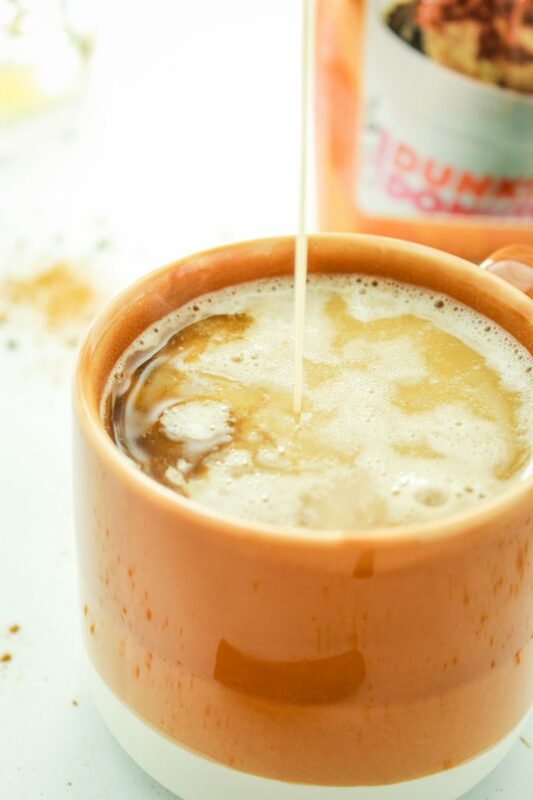 Thanks to cozy socks, couch cuddles, coffee cake-flavored coffee, and pumpkin spiced creamer. I know winter is coming (Hi, Game of Thrones lovers! ), but I won’t think about that just yet. I’ll enjoy the now, instead. I’ll embrace this season for what it is and appreciate it for what it is. Different. Beautiful. Unique. Change. Embracing the present and finding the magic in each day. 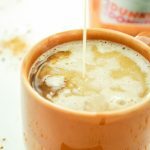 This recipe for homemade pumpkin spice coffee creamer is incredibly easy! 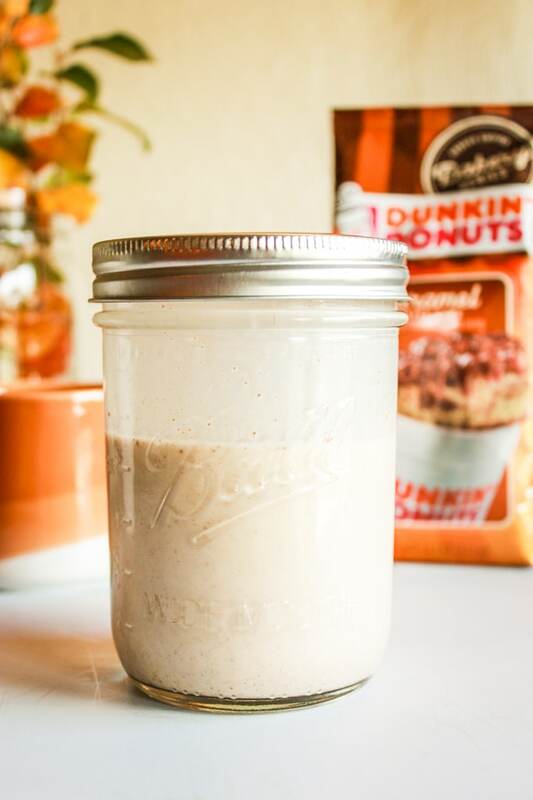 You just need a few ingredients and a mason jar to spice up your morning coffee. Combine coconut milk, maple syrup, vanilla, and pumpkin pie spice in a jar. Shake vigorously until the mixture is well-combined. 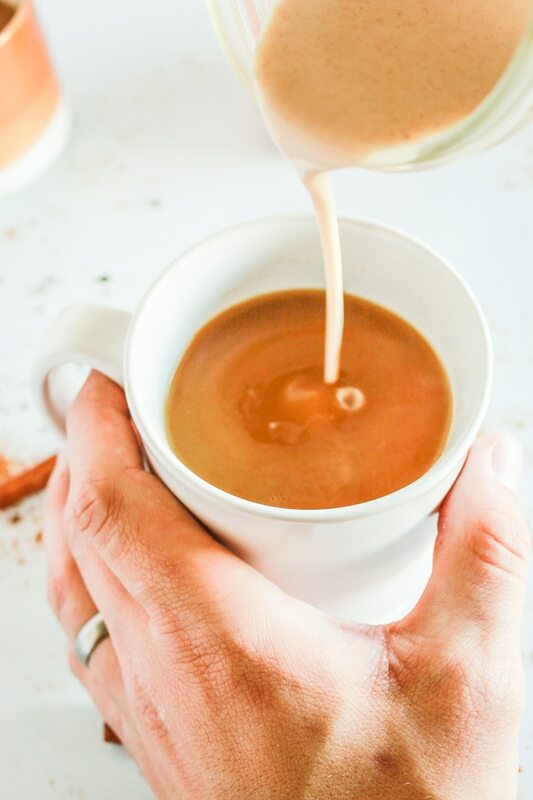 Pour desired amount into hot or cold coffee and enjoy!